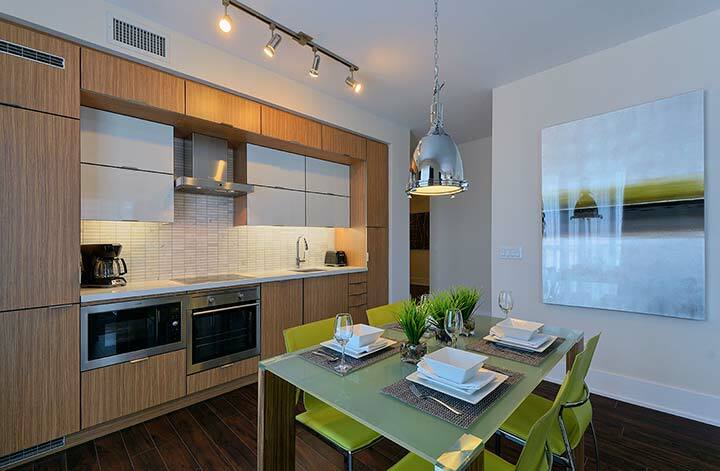 One of the major advantages to staying in a furnished rental in Toronto is that you will be able to use the kitchen to prepare your own meals, which will save you a lot of money because you won’t have to pay restaurant prices for your meals every night. 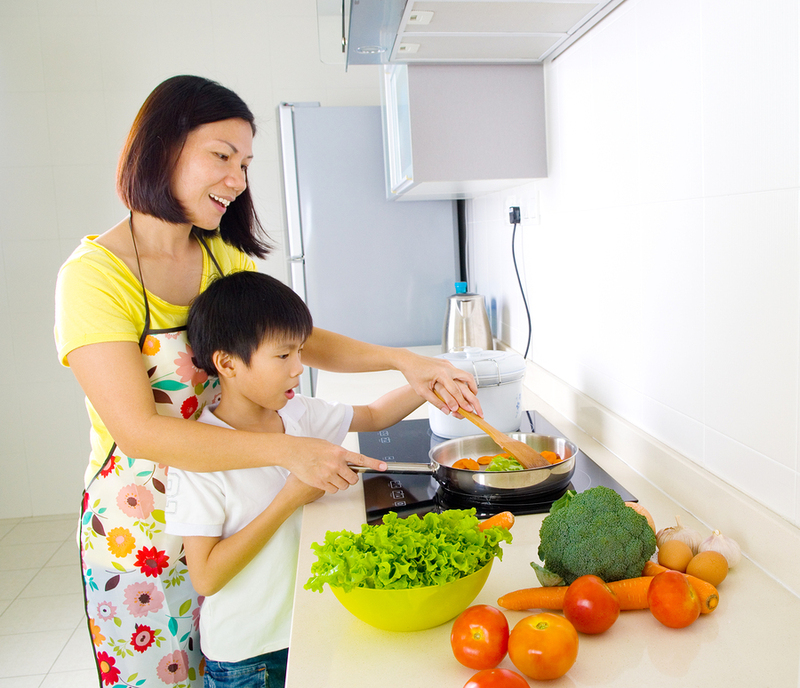 However, making meals when you are travelling will bring with it a unique set of challenges – as you might be short on time and you might not have all of the ingredients that you have at home. 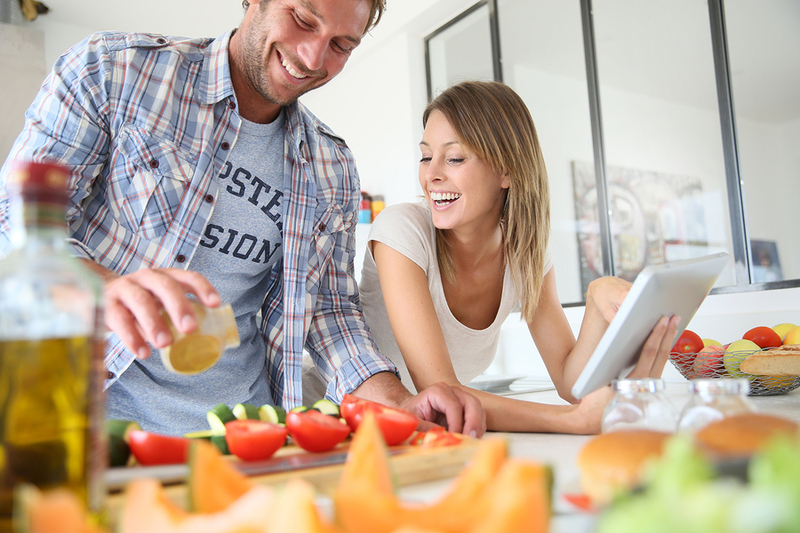 In order to make cooking in your furnished condo as easy as possible, here are some easy make-ahead dinners that you can heat up when you need them. Some of these recipes require a slow cooker but if you don’t have one where you are staying, you can always let them simmer on the stove for a while instead. of cubed round steak on a large skillet in oil, simply browning the pieces lightly. Transfer the meat to a five quart slow cooker and leave the oil on the skillet. Use the oil to saute onions and yellow peppers until just barely tender. Add the garlic and cook for another minute, then transfer everything to the slow cooker. Add to the slow cooker one can of pumpkin, two cans of black beans, two cups of chicken broth, one can of diced tomatoes, dried parsely flakes, chili powder, dried oregano, ground cumin and salt. Cook on low for five hours. A comforting stew that freezes well, this delicious dish is easy to make and delicious. Start by combining 1.5 pounds of beef cut into chunks, 2 sweet potatoes cut into half-moons, cumin, onions, apricots, ginger, cayenne and cinnamon and one can of tomatoes in a slow cooker with ¾ teaspoon of salt and a half cup of water. Cook the ingredients on high for 4 hours or on low for 7 hours. Right before serving, add a can of chickpeas to the mix and let them cook until they are heated through, for about 2-3 minutes. Serve the stew along with cuscous and spinach. This is a tasty kid-friendly favourite that you can make in advance and keep in the fridge or freezer. Start by cooking the rice while also simmering the chicken until it is cooked through. Cook two chopped leeks until they are brown in oil in a large skillet over medium heat. Add mushrooms and cook until the liquid has been released and evaporated. Add sherry and increase the heat to high and cook until most of the liquid has been evaporated. Sprinkle the vegetables with flour, then stir them to coat. Add milk and then simmer the sauce for one minute before adding parsley, sour cream, pepper and salt. Line an old baking dish with cooking spray and cut the chicken into bite sized pieces. Spread the rice in an even layer in the baking dish, then add the chicken and the green beas – pouring the sauce over top and sprinkling with almonds. Bake in the oven until the casserole bubbles and let it stand for 5-10 minutes before serving. Do you have favourite easy make-ahead dinners that you turn to? We’d love to hear about them! When it comes to choosing a corporate housing provider in Toronto, you want to ensure a seamless transition from your time of check-in and throughout your stay. At DelSuites, the 24-7 security and Guest Services department play a critical role in the continued success of our business. They have the most exposure to our guests and are available to offer assistance where needed. 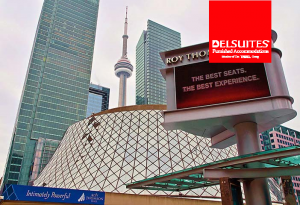 The summer season is one the best times to be in Toronto yet sometimes, city living in the summer can be hot, muggy and crowded (even though our furnished suites are centrally located). The Toronto Beaches (or “The Beach,” as it has been intensely debated), located on the eastern edges of the Greater Toronto Region is one of those neighbourhoods which feels like a little village, enabling you to escape the city without having to leave it. 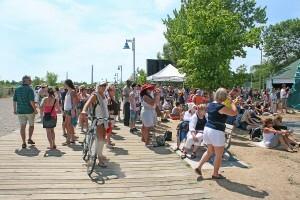 Here are a few of our favourite things to do if you have a day to explore the Toronto Beaches. 1. Explore the Martin Goodman Trail. The trail extends from east to west from the three separate parts of the beach along the lakeshore: Balmy, Kew, and Woodbine. The best way to see this is by biking if you’re coming from our furnished apartment rentals at our downtown locations. That said, you can easily walk, run, or rollerblade the three beaches. If you map this out with a few key pit stops in between to picnic or to go to a restaurant on Queen Street East, this is a scenic way to explore the city. 2. Swim! Though the water is deemed safe by the Toronto Department of Public Health (you can check for updates here and on your smartphone), you can also take the opportunity to swim at the Donald D. Summerville Olympic pool. Located at the foot of Woodbine Avenue and in the heart of Woodbine Beach, the pool is currently undergoing a $3.75 million capital renovation project to be completed in time for the Pan Am Games. If you are here for a longer term stay with your family or you like to swim, you may want to consider enrolling your kids in the Toronto Swim Summer Camp, or as an adult, enrol in the masters swim program or triathlon club. 3. Volleyball. If you pass by the western edge of Woodbine Beach, also known as Ashbridge’s Bay, you’re lucky to see rows of volleyball nets with lively players jumping up to the net with the music blaring to the skies. Want to go beyond people watching and try your hand at a spike? 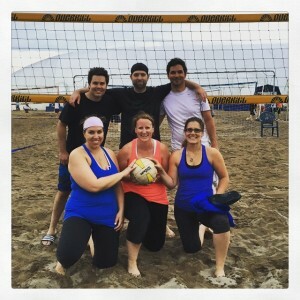 Check out the Ashbridge’s Bay Beach Volleyball Team or find a league through Beach Blast or the Ontario Volleyball Organization. mid-July, which spans for two weeks. All event listings are here. 5. Watch a Movie. Beyond the boardwalk is a lively strip on Queen Street full of businesses, including the Fox Theatre. Located on the fringe of the Beach, this repertory theatre has been in business for over a century and is another way to discover the area and also watch a good film that you may have missed in the theatres. As property development and construction in Toronto has increased so has the need for Short-Term Housing and Condominium Rentals. This concept is still relatively new and thus, there can be many misconceptions. We wanted to clear up the misconceptions and myths of short-term condo rentals Toronto and stays for a better understanding of the industry. Though “short-term” can mean for less than a week or two in our lexicon, DelSuites minimum stay for their short-term stays are 30 nights. This may sound like a hefty amount for some but if you need a place to stay while you are settling in the city or on business, this minimum day stay will assure you you’ll have a place to call home away from home. Unlike a hotel, you can get to know your neighbours and you never have to move in and out in that 30 day period – lugging around your luggage if you are travelling to and from Toronto. You retain possession of the suite and can leave your luggage at home for the entire 30 nights. DelSuites apartments ar e always fully furnished in modern furnishings and decor. Not only do you have your basic amenities but you also get the extras like kitchen appliances, plates, utensils, cleaning supplies, and more. You even have a start up supply of laundry and dish detergent for your en-suite laundry. As opposed to looking for a new apartment in the city and dealing with buying your own furniture or the hassle of a laundromat, DelSuites has you covered. 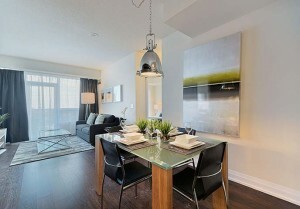 Though this may be true for some short-term condo rental companies, DelSuites has plenty of amenities. Concierge to help you with any of your needs? Check. Fitness Facilities? Check. Complimentary Wifi and Cable? Check. Grocery services from Real Food Toronto? Check. Airport Pick-up or Drop-Off Service? Check. Welcome Gift for every Child to help settle them in? Check. We’ve taken care of all of the details so you can arrive safe and relaxed. We have a cleaning staff that come in once a week to ensure that your apartment or suite is spick and span. Unlike hotel cleaning staff when you don’t know when they’ll be coming on a daily basis, our staff are appointed a specific day to come in to clean from 9am to 5pm and can even work around your schedule. Though furnished apartments may seem costly for a short-term stay, when you factor in the costs (housekeeping, free wifi, laundry, a fully stocked kitchen, etc. 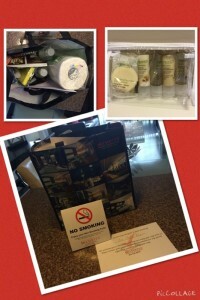 ), the costs can turn out to be less than staying in a hotel. 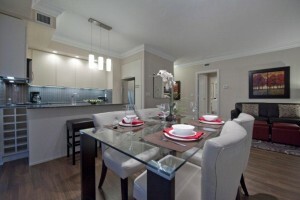 Hotel rooms are usually just that – a room – so if you were to get a suite, a furnished apartment is better value. If you are in the midst of a relocation, DelSuites is a one-stop shop and less cost than a consultant.